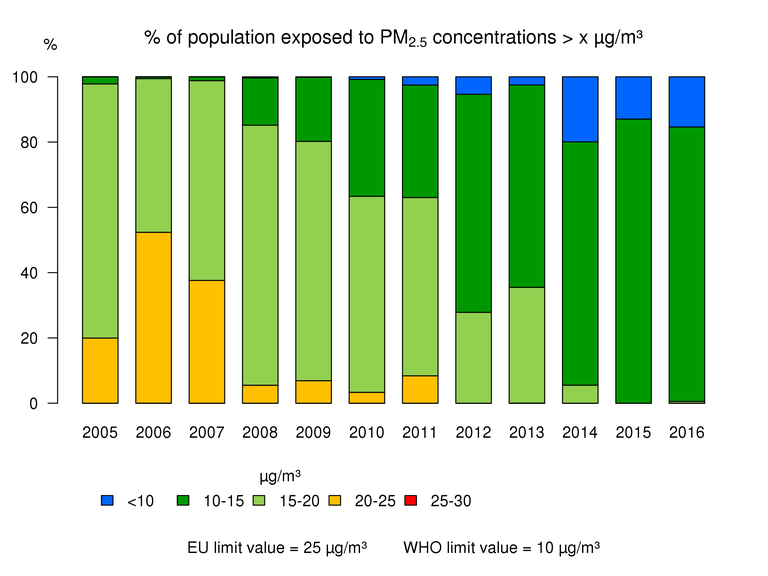 In 2016, the Belgian population was not exposed to PM2.5 concentrations above 20 µg/m³. However, population exposure to concentrations higher than the WHO guideline of 10 µg/m³ reached 84.6% in 2016, which is an increase of about 5% in comparison to 2014 (Figure 22). Evolution of the population exposure to annual mean PM2.5 concentrations based on the RIO interpolation technique.